Give any ensemble much-needed extra storage space and a splash of style with this must-have Furinno Basic 3x2 Bookcase Storage w/Bins. Designed to take organization to the next level and for use anywhere in your home, this stylish organizer can hold small items, pictures, and keepsakes, or accent with the standard sized fabric drawers and storage. 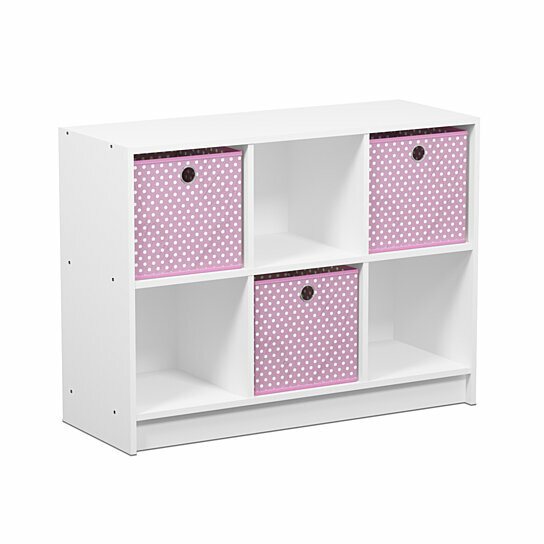 This basic 3x2 bookcase storage with bins is easy assembly with step by step instruction. Care instructions: wipe clean with clean damped cloth. Avoid using harsh chemicals. Pictures are for illustration purpose. All decor items are not included in this offer. EASY ASSEMBLY: Please follow instruction. Sturdy on even surface.